Beethoven’s encounter with Aeschylus’ poetry is characterised by the culture of his time in its Enlightenment aspects and in some ‘anticipations’ typical of the first Romanticism. 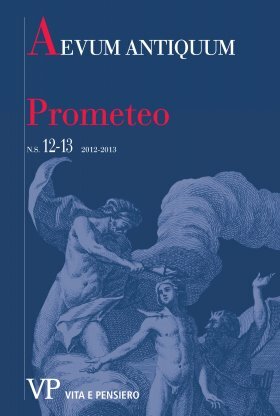 Prometheus character fascinates the musician because of his philanthropic merits and his heroic temperament as opposed to the ‘tyrant’ Zeus. Moreover The Creatures of Prometheus mark a turning point in Beethoven’s production both in his musical and in his existential choices; the example of the Titan reproposes the ancient theme of man hit by an implacable fate and witnesses – in the course of a lifetime – the privileged relationship that Beethoven had with the Greek culture: with the Greek tragedy in general and with the Aeschylus one in particular.